It Never Gets Easier – And it’s not even my kid! 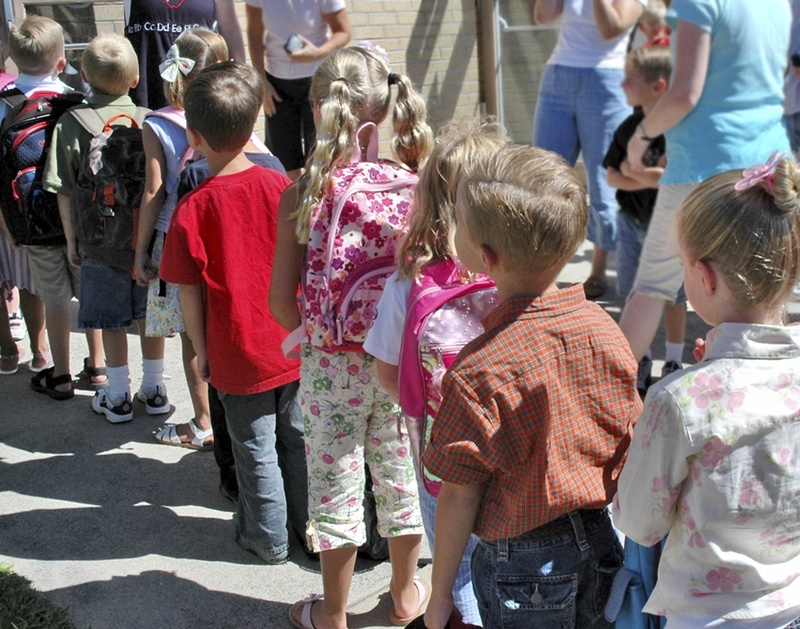 To date, I have experienced the Pre-Kindergarten, Kindergarten and Summer Camp Drop-off jitters. But never have I experienced Summer Camp Drop-off jitters for children who are not my own – that is, until this morning. A seasoned vet to this process, my daughter mingled with her friends and paid very little attention to me as we stood waiting for the camp doors to open. As I stood nearby (because any closer to my daughter is “not cool”), I recognized my good friend and fellow Mommy Blogger dropping off her twin boys as Summer Camp Newbies. Perhaps because my daughter didn’t need me, as they approached us, I instantly was consumed with Summer Camp Drop-off jitters. I quickly tried to connect the twins with another little boy who we also know and love who was also a Summer Camp Newbie. “Twins, meet our dear little friend.” aka……Dear Little Friend, meet these darling twins who know absolutely no one so please be their friend. The twins clung to their Mom and my dear little friend, kindly accepted my request as he clutched his Dad’s hand. As the campers were ushered in, my daughter quickly gave me her hug and kiss and excitedly went off to fun. The twins and my dear little friend, cautiously made their way with their camp counselors, as their parents slowly walked backwards easing the detachment between parent and child- afraid that any sudden movement would cause panic. And what happened next – happens all the time. And it doesn’t get any easier. The boys (all three of them) walked into Summer Camp leaving us all behind without looking back. As the door closed behind the Summer Campers, I hugged my friends fighting back my own tears for three boys that weren’t even mine! AWWWWW this was SO sweet (how the heck did you write it so fast????). I am so happy that you were there today to hold my hand!!! You are my idol! You were so strong and warm and awesome in every way. I remember what it was like being dropped off at camp. It was so hard the first few times! After that, I began to look forward to it. Until now, I don’t think I’ve thought about what that was like for my mom, or what it will be like for me. Even thinking about it makes me feel twinges of sadness and anxiety! My children just LOVE camp and I am very thankful we have such terrific programs locally. I work from home two days a week and they would much rather be at camp swimming and playing with their friends than watching me work! It gets easier as they get older – trust me.